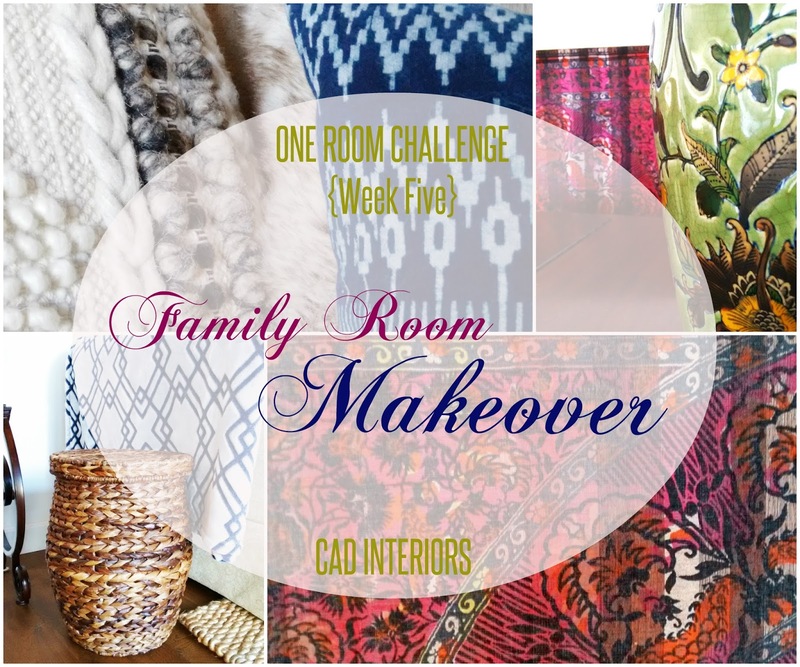 The countdown is ON for the Fall 2015 One Room Challenge! We are down to the last several days before all of the participants reveal their transformed rooms to the worldwide web audience next week. Whoa... intimidating! Our once barren family room has definitely come a long way since the ORC began five weeks ago. 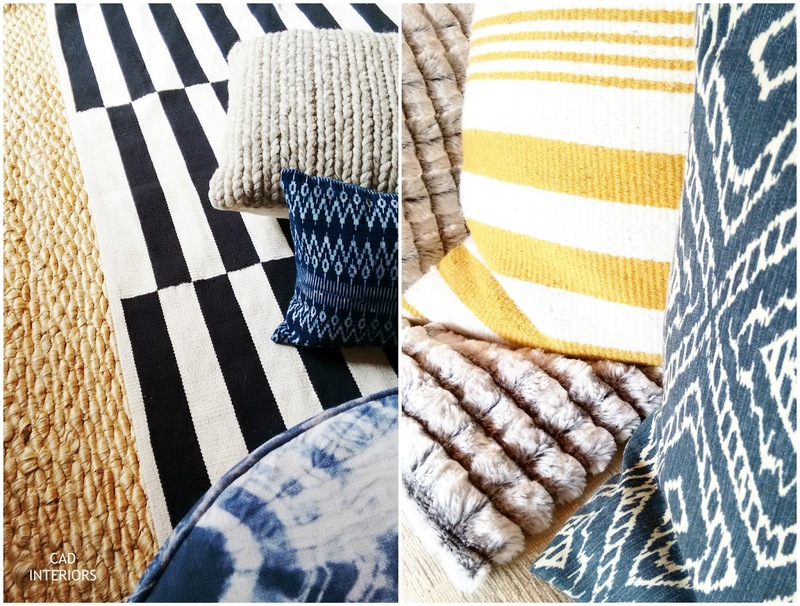 This past week, a few more textiles and accents have made its way into the room. Some items are new, but I pulled most of the decor from what I already had. There's been A LOT of "shopping our house" to pull this room together! 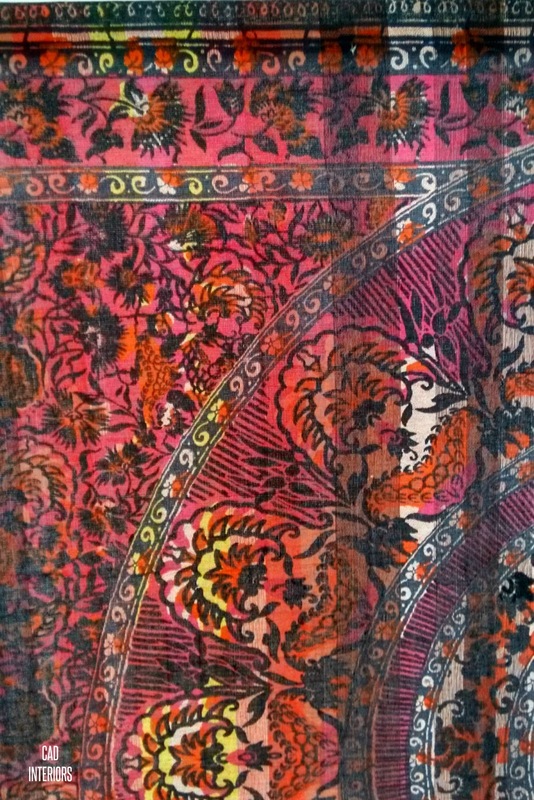 I love the different textiles that have come to play. 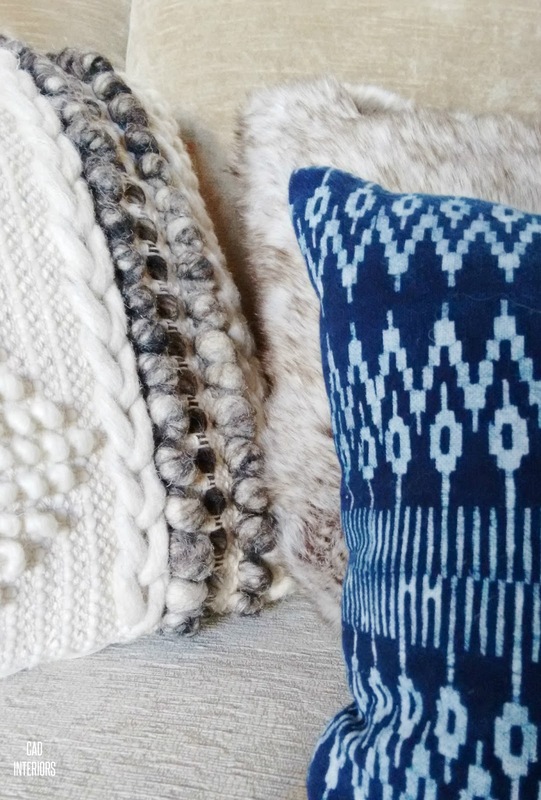 So much texture, pattern, softness and dimension! 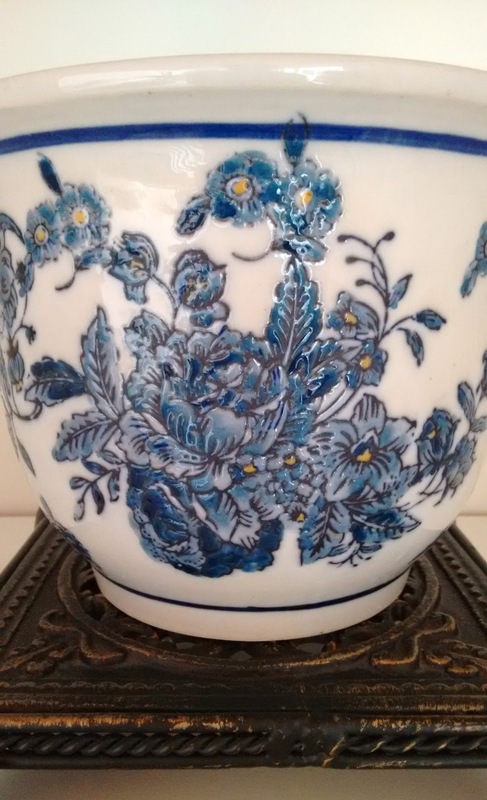 I am bringing in an eclectic, colorful dose of "feminine" into the decor! I balanced out the room with neutral elements and some "masculine" touches, including stripes and lots of blues. 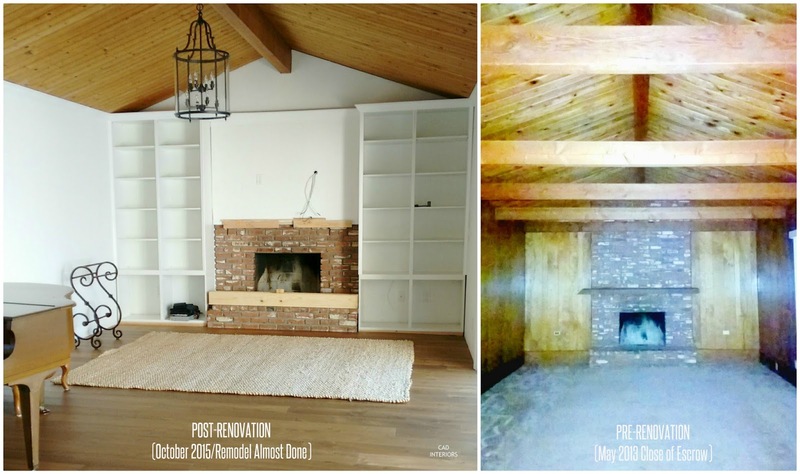 Last week, I also shared how I styled our built-ins COMPLETELY COST-FREE. Although my budget forced me to compromise on the design aspects that I could include at this time (new furnishings and custom window treatments will have to wait), the foundation for the "CLASSIC ECLECTIC MODERN BOHEMIAN" space that I'm envisioning has been planted. I'm keeping things real, knowing that our family room will continue to evolve past the six-week ORC timeframe. At the end of the day, I'm embracing the progress so far, and appreciating how far this room has come! Remember where it started?! Don't forget to check in on the rooms being transformed by the other ORC participants! Wow, those textures all together are going to be amazing! Color combo choices look great! The reveal is going to be exciting! Carol, I can't believe I just came across your blog post in the ORC link up! I love your styling and your incorporation of colors and textures is very much my aesthetic. Will definitely need to see your final room reveal on Thursday! Thanks, Stephanie! I will be spending the next several days going through each and every room reveal. Can't wait to see your newly transformed space as well!! !